Sotogrande is the ultimate Holiday Resort, situated in the province of Cadiz on the southwest coast of Spain. Covering an area of over 4000 acres, the resort boasts beautiful Andalusian countryside views. Sotogrande is the ultimate Holiday Resort, and is situated in the province of Cadiz on the southwest coast of Spain. Covering an area of over 4000 acres, the resort boasts beautiful Andalusian countryside, including the Almenara Mountains which lead down to the Mediterranean Sea at the mouth of the Guadiaro river. Here you will find multiple golf courses, sports facilities which range from tennis, to polo, to horse-riding, not forgetting its wonderful spa facilities and numerous restaurants. There is also a magnificent marina and a beautiful beach, yet despite all the facilities, the resort remains relatively unspoilt and traditional. Only 20 minutes away you will find the fabulous Gibraltar Rock which makes a fantastic day out, as well as the nearby attractions such as "La Alhambra de Granada" and the cities of Jerez, Seville and Ronda, or you can even take a ferry over to Morocco. Sotogrande boasts five different golf courses within the resort; Almenara, La Canada, La Reserva, Real Club de Golf Sotogrande and Valderrama, all of which are very highly regarded. And if that wasn't enough to satisfy your golfing appetite, there are several more in the local area. Anytime is the perfect time for a round of golf at Almenara. The golf course consists of 27 holes allowing you to enjoy up to three different 18-hole combinations, all with a par of 72, so that each game is a new challenge for the player. The fairways wander among exceptionally beautiful natural landscapes, amidst two large lakes surrounded by pine and cork oak trees, which take on a singular prominence. Fantastic views of the Mediterranean and the mountains surround this golf course, coupled with an enviable climate that makes playing at Almenara possible all year round. The course was designed by the renowned golfing innovator Dave Thomas and constitutes an impassioned challenge for even the most experienced golfers. Dress code Sleevless t-shirts, jeans, bathing suits and inappropriate footwear of any kind in the golf club is not allowed. La Cañada Golf Club is nestled between the sea and the mountains, and surrounded by marvellous countryside. A first class golf course of 18 holes, La Cañada was inaugurated in 1982. The first nine holes were designed by Dave Thomas, and the second by Robert Trent Jones Senior. Challenging fairways, quick greens, large groves of indigenous trees and a spectacular view of the Mediterranean Sea, make up an ideal course for those who want to bask in the sun and enjoy being surrounded by nature. La Reserva Golf Club boasts excellent facilities comprising a large 18 hole course designed by Cabell Robinson and a splendid Club House. The golf course opened in August 2003 and has already made a reputation as one of the best in Spain. It is a long course with wide, undulating fairways and well guarded greens. The greens are often multi-level with slopes and speed to deal with. Great views from many holes, especially the 15th. Games are made up of 4 players - in the case that there are less, the club reserves the right to group them up with other players of same handicap. Real Club de Golf Sotogrande is often voted to be among the top ten golf courses in Europe, and rightly so. "Sotogrande Old", as it is called by the locals, boasts mature vegetation with pine, cork oaks, eucalyptus and giant palm trees enhancing the natural beauty of the surroundings. Dress code Metal spikes golf shoes are not permitted. It is prohibited to wear bathing trunks, running or tennis shorts, jeans and sleeveless shirts and playing without a shirt. Ladies are requested not to wear bikini tops and halter tops. Open all year round, 7 days a week, to non-members from 10:30am - 6pm. Valderrama Golf Club is considered by many as the jewel of Europe. Set in a picturesque cork forest, Valderrama is a strategic and tight parkland course. Once a daily-fee course named "Sotogrande New," it was bought by James Ortiz-Patino and morphed into a superb private club, worthy of professional events and the 1997 Ryder Cup Matches and 2000 World Golf Championships. Dress code The Club's dress code will be strictly enforced, and most importantly includes that 1. Any clothes made of blue denim material are not allowed 2. Only tailored knee-length shorts are permitted 3. T-shirts are not allowed 4. Men's shirts must have collars and long or short sleeves. Valderrama allows only soft spikes. Metal spikes can be exchanged for soft spikes at a cost of 10€. No exception will be made for shoes with unremovable metal spikes. Tennis shoes, trainers, rubber dimpled and ordinary street shoes are not permitted. Sotogrande Racquet Club: Open all year round, 7 days a week. El Octogono Beach Club: Open April to September, 7 days a week from 8am - 10pm. Sotogrande offers two different venues where you can take up a game of tennis. There is the Sotogrande Racquet Club (open year round), which has 3 hard tennis courts, as well as some paddle courts. Here there is the opportunity to take up lessons with one of the pros if you want to improve your game. Alternatively, the El Octogono Beach Club (open April-September) boasts 3 clay courts, 3 hard courts as well as 5 paddle courts, and also offers group and individual coaching. Approximately €15 an hour to hire a court at Sogtogrande Raquet Club. The gyms at Sotogrande can be found in the NH Almenara and in Sotogrande Marina, offering a wide range of services from fully equipped gyms to Pilates classes. Sotogrande Hipica is one of the finest riding schools in Spain, training professionals year after year. Clients are offered a wide range of services and high quality facilities to practice this sport. Located in the Old Cortijo Valderrama, Sotogrande Hipica offers the whole family a natural setting and excellent facilities to ride their ponies and horses, looked after the best experts. Facilities include; Pony club arena, dressage arena, horse-jumping arena, cross country, warming up arena, hilly arena for practicing raid, stable area with 114 boxes and track room. Sotogrande Hipica offers riding lessons (pony club, group), horse-jumping lessons, dressage lessons, equestrian routes and competitions (social and national). Please note that the school is closed between 13:30-16:00 except July & August where it is closed between 13:30-18:00. Ride on a leaded rein pony from €12. Beginners lesson from €23 for 30 minutes. Excursion on horseback from €35 per hour. Polo has been played at Sotogrande since 1968 and the estate is now firmly established as the home of international polo in Spain. The Santa Maria Polo Club is based in Sotogrande and has eleven fields. Every year in August, Sotogrande hosts one of the most important polo tournament with some of the finest players in the world, which is well worth a visit! Elysium Spa within the NH Almenara hotel, offers a refreshing and relaxing sanctuary for both body and mind. Elysium is a true oasis of peace and features the most innovative treatments and varied facilities designed for your health and beauty demands. *Charges apply to access and use the spa facilities. The two beach clubs on Sotogrande; El Octogono and El Cucurucho, both have several communal pools for guests who pay to use their facilities. El Octogono has a pool for adults only and another for families, whilst El Cucurucho has a pool for adults, one for families, a splash pool and a pool for older children. Both inside and around Sotogrande, you can find a wide range of restaurants for every occasion. You can choose between restaurants that specialize in meat or fish dishes, Chinese, Tapas, Argentinean, Belgian, Thai, Indian, Italian, or fast food and lighter bites. Besides, during warm summer nights, many of these restaurants have terraces so that you can have dinner whilst admiring the beautiful surrounding views. The neighbouring towns of Guadiaro, Pueblo Nuevo and Torreguadiaro also play host to many places to eat and drink, which are often slightly cheaper, and are only a short taxi ride away. Originally from Belgium, the owner has created a menu including delicious grilled meat dishes as well as authentic Belgian specialties, all made with high quality ingredients that are handpicked and imported from Belgium. Make sure you try the most popular dishes: the Châteaubriand and the Belgian Mussels. A fantastic dining in Sotogrande Marina with culinary delights served by executive chef Jean-Jacques Adam. Open daily for Lunch, Dinner & Cocktails. Why not relax on our terrace and watch the world go by. Offering delicious and varying cuisine in a beautiful setting looking over the beach. Located in Galerías Paniagua, El Gaucho specializes in Argentinian cuisine, serving some outstanding beef dishes. Italian restaurant found in Sotogrande Marina. Located within the Almenara hotel in Sotogrange Alto, here you can enjoy a splendid buffet breakfast or delicious evening meal. Situated in the Marina, Ke Bar is open for breakfast, lunch or dinner and serves good tapas, baguettes and salads. In a lovely setting overlooking the boats. Situated near Valderrama, this pretty restaurant serves a great selection of traditional Spanish dishes. This restaurant is well worth the trip for both an excellent Argentinean menu and the best setting, overlooking the Sotogrande Polo fields. One of the most popular restaurants in Sotogrande. Located at Sotogrande Marina within the hotel, this water-side restaurant offers fresh seafood all year round. Delicious Thai food, also offering a takeaway service. Located within Galerias Panigua. Lombardo's Sotogrande was established in 1989 by Enzo and Sara Lombardo. After over twenty years Lombardo’s continues to offer some of the best Italian food on the Costa del Sol, specializing in pizza’s, pasta’s and Italian meat dishes, all elaborated with the best ingredients imported from Italy. Delightful Mediterranean cuisine, found in Sotogrande Marina. Delightful coffee shop in Paniagua, serving coffee, croissants, fresh bread and sandwiches. Discover the newly renovated and extended VeinTeeOcho restaurant. Enjoy its wonderful dining room but don't miss the magnificent terrace with views over Almenara Golf and the Mediterranean. Open all year round serving buffet breakfast from 7am - 11am, lunch from 1pm - 4pm and dinner from 8pm - 11pm. Within Sotogrande you will find a whole host of places to shop from newsagents, fashion shops, an art gallery and even a Sunday antique market, as well as various supermarkets and including an English one for the home treats. There are also various amenities such as banks, chemists, hairdressers, and a post office. These facilities can be mostly found at the Sotogrande Marina, 'Pueblo Nuevo' village or at the shopping complex 'Gallerias Paniagua'. Please note that supermarkets here are closed on Sundays. Sotogrande beaches are totally unspoilt and feature miles of sandy Mediterranean coastline some with views to the Rock of Gibraltar and on a clear day, the mountains of Morocco. The beaches in this part of southern Spain are some of the most private and least crowded. There are two beach clubs with restaurants, El Cucurucho and El Octogono. Sotogrande beaches also offer various water sports including windsurfing, kite-surfing, canoeing and hobie cats. It was a pleasure to share this villa with Family and Friends for a week. The photos don't do the villa justice although some photos need updated as the drum kit wasn't there, the parasol was missing at the pool and the photos reflected 4 sun loungers when infact there are enough for everyone. It's extremely spacious with more than enough room for 10. It provides opportunities to spend time together aswell as the chance to be on your own. There was an extensive list of amenities provided within the villa which helped reduce luggage, however not all were in good working condition. The hairdryer provided could not be used, the AC units were a little complicated to get working at first and also when you looked closer at them they don't seem to have been serviced recently. We were grateful for the washing machine provided as this allowed us to come home with clean washing. The cooker and oven were fantastic and the number of amenities provided in the kitchen was fantastic. There was everything! Unfortunately, the blender was unable to be used due to being broken and we found as the week progressed, the number of times the electricity tripped increased and became a nuisance, especially when in the middle of making dinners. The welcome folder was a great touch with extensive information and helpful resources covering a wide variety of options. Again, however, we used one of the contact numbers in the folder to call for a food delivery as it stated this service was provided next to the number. When we called the restaurant, the man informed us he would only deliver by taxi and this would cost €40, not including the food! So we walked the short 20 min journey, which would have taken 2 minutes in a car! The privacy of the villa is fantastic and very safe for children with the pool being big enough and spacious enough for everyone to be in at the one time, along with inflatables. As well as a huge garden where the children could run about and could have a number of activities going on at the one time without being overcrowded. The master bedroom was fantastic and the bed was extremely comfortable. However, there were comments from friends in other rooms who stated there mattresses were uncomfortable and may have been better with toppers to help provide more comfort. The advert for the villa states car essential which is certainly true and should be acknowledged when booking. We were unsure of what to do, especially with having 10 of us so we did not book a car as we felt there were enough adults to help. The shopping facilites were further than we anticipated and we relied on taxis. This is something we would certainly change next time. Overall, we absolutely loved the villa and would certainly return again, especially if some small amendments were addressed. I would appreciate any contact if this was to happen as we are looking at returning next year. This is a lovely villa but the location is very suburban with no amenities within walking distance (min 2km but on a steep hill). 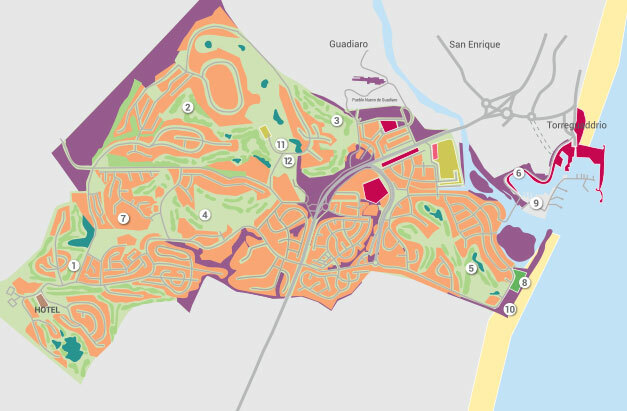 Would suit families with no children or older children as Sotogrande has no child friendly activities or play parks apart from one in the very centre of the marina. This meant we were limited to places we drove to but with toddlers, we missed having somewhere a short distance away. The villa itself has 4 good size double bedrooms inside and a pool room that you can only access from outside. The bedrooms all have air con units but the communal rooms, kitchen and living room don’t which made them very warm. We visited this villa at the end of September so I can only imagine this would have been worse at the height of summer. There is Wi-fi but the signal is not very strong so we used our own 4G most of the time. The pool area is nice but the poolside furniture, loungers etc, ate very old and quite dirty so we didn’t use them at all. There are some good pool inflatables which we all used. The pool isn’t heated which wasn’t a problem for the adults but the young kids got cold quickly. The villa instructions said there was a pool cover to put on overnight to keep the heat in but this was missing so we couldn’t do this which meant we didn’t use the pool at all first thing in the morning. The outside eating and sitting areas were really pleasant and having a garden with nice grass was great for the kids. There is no getting around it, this is a great villa with everything you could want for the price. Loads of living space, adiquate kitchen and fabulous pool area and garden. The upstairs balconies provide wonderful views and a lovely alternative dining area. It’s a shame there isn’t better furniture on the master balcony as the two garden chairs really aren’t adequate. The beds were comfortable and en suites to all rooms very practical. The master bathroom shower was dark and we did have problems with smelly drains but not enough to warrant a call to James Villa during our stay. The communal areas were large and free flowing which gave the villa a spacious feel. Plenty crockery in the kitchen however a few more cooking utensils are needed especially given the location. Ample parking in the safe, gated grounds did make you feel very safe and secluded. The pool was just perfect for our stay with a good depth and it was very clean. The garden had sun all day and there was a good selection of loungers and outdoor furniture. Sotogrande alto itself is a bit of a strange place. Isolated yet well connected, exclusive yet impersonal. If you are looking to completely cut off and feel like you want to escape to your own hide away, this is exactly the place to go. There is a fair amount to do in the local area, we had some lovely lunches and one evening meal in the sotogrande marina and it was all reasonably priced given the location. Excellent access to AP-7 means you are in easy reach of other resorts and sight seeing locations. We would look to stay here again. We know Sotogrande area very well and this villa was absolutely fantastic for so many reasons- location, layout, amenities as we had our children and young grandchildren with us. Lovely villa. Clean and comfortable. Plenty of pool towels provided along with crockery and glasses. Only slight niggles were that the pool was quite noisy throughout the day compared to our last 6 years previous villa holidays. An additional parasol would have been helpful for using the sun beds and the integrated coffee machine clearly had not worked for some time. We suffered a couple of very noisy nights from the next door villa having a party. To be fair they came and apologised in advance ( on one of the nights) but the level of noise was still pretty unreasonable ( but they did own the villa so ...). A nuisance rather than a disaster but I would have expected the Sottogrande estate to have some stronger rules on noise and disturbance generally. Nevertheless we enjoyed our stay. Local staff very helpful and responsive. Outstanding villa! Perfect for peace and quiet, and a place to get away. We loved the pool, and the fact the Villa had everything we needed! Lovely villa, well presented with virtually new kitchen and plenty of space. Info re cleaning service could have been more precise, otherwise hard to fault. Villa quality was actually better in reality than the picture.. Nice place if a bit pricey.